Scott joined National Medical Billing Services in 2008 and is the Vice President of Managed Care Contracting. He manages all aspects of ASC managed care contracts, which include analysis of language and rates, contract audits and developing best practices for implementing standard operating procedures for the managed care contracts throughout the revenue cycle. Scott is heavily involved in the ASC industry through a variety of advocacy roles. He serves on the Payor Relations Committee of the Healthcare Billing Management Association and has lobbied on Capitol Hill for the Ambulatory Surgery Center Association. Scott is also a frequent contributor to industry publications, writing about managed care contracting and other ASC topics. Scott earned a B.S. in Political Science from St. Louis University. 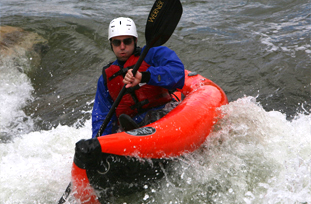 Scott is passionate about outdoor sports like white water kayaking, snowboarding, rollerblading and backpacking. He once took a trip so remote he had to be flown in via a small airplane. He also enjoys pursuing his creative side by sculpting, throwing pots, drawing, and designing inventions to simplify everyday life.